Guests sailing on Royal Caribbean may notice their next round of cocktails will not served with a plastic straw by default. The cruise line has begun cutting back on the use of plastic straws, citing the negative environmental impact straws can have on the ocean. Signs posted at bars around many ships indicate that when a guest orders a drink, they will not receive a straw automatically. 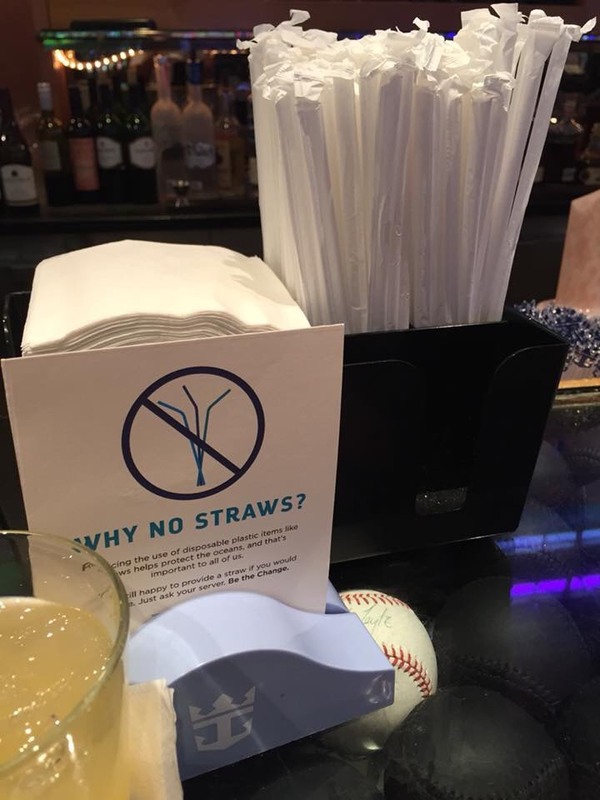 Guests may receive a straw upon request from any server. 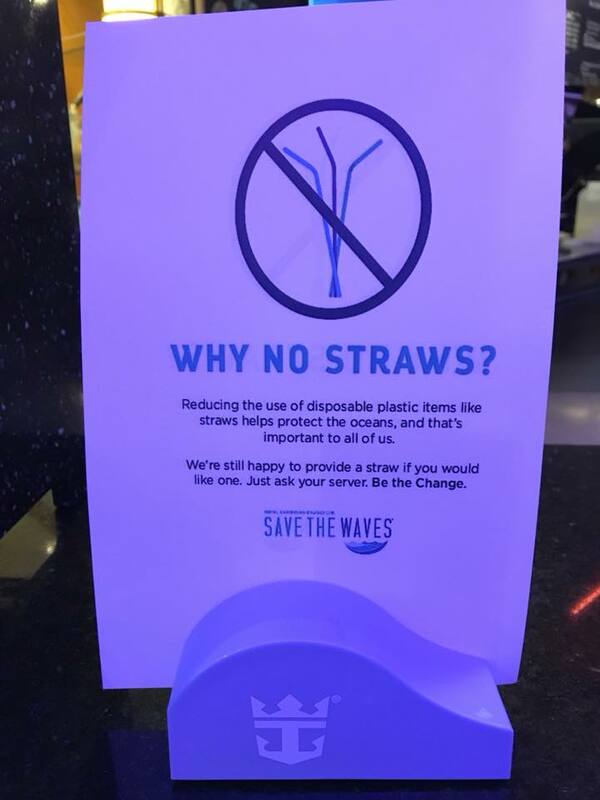 Royal Caribbean's Save the Waves program began in 1992 as an effort to help protect the ocean ecosystem, and this new policy regarding drink straws is another step towards minimizing ocean pollution.